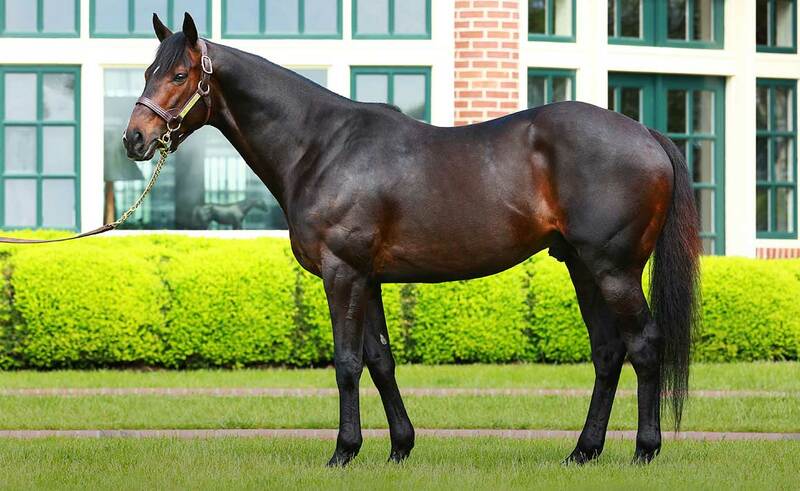 G1 Belmont winner Mr Speaker was one of the most formidable turf runners of his generation, with four graded stakes victories and earnings in excess of $1,200,000. The son of Pulpit showed brilliance when winning the G3 Dania Beach S. as a two-year-old, then proved his stamina with a pair of graded wins as a sophomore and another graded victory as a four-year-old. Mr Speaker is out of a daughter of Champion Personal Ensign and is bred on the same cross as leading general sire Tapit. 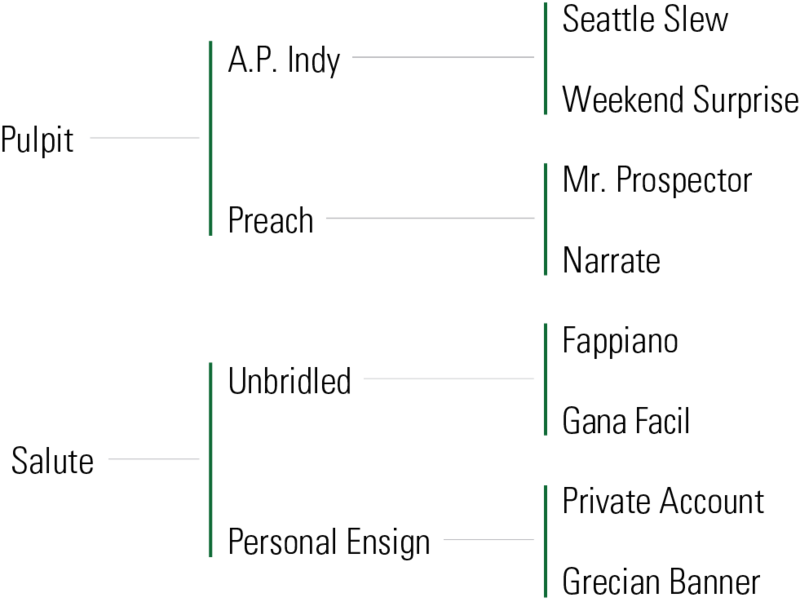 This incredibly accomplished pedigree boasts Champion Storm Flag Flying and G1 winners My Flag, Miner’s Mark and Traditionally in the immediate family. Tapit’s 16 G1 winners are out of mares by 15 different stallions—the only stallion with two is the great sire and broodmare sire Deputy Minister. Based on this, it’s clear that Mr Speaker will match well with a wide variety of broodmares. 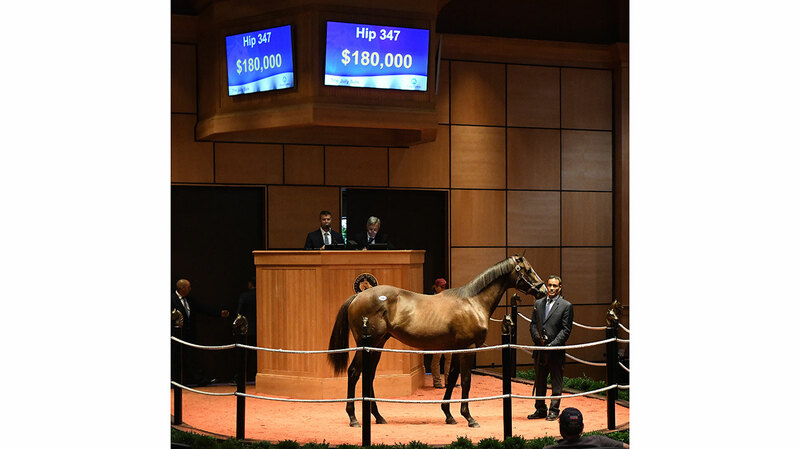 The first yearlings by Mr. Speaker have sold up to $180,000. His first two-year-olds hit the track in 2019. WON Dania Beach S. [G3] at Gulfstream Park (1 mi., on turf, in 1:36.60, defeating Cabo Cat, Pleuven (FR), Yes I’m Lucky, etc. ), a maiden special weight at Belmont Park (1 1/16 mi., on turf, in 1:46.06, defeating Patent, Smooth Daddy, Veya, etc.). 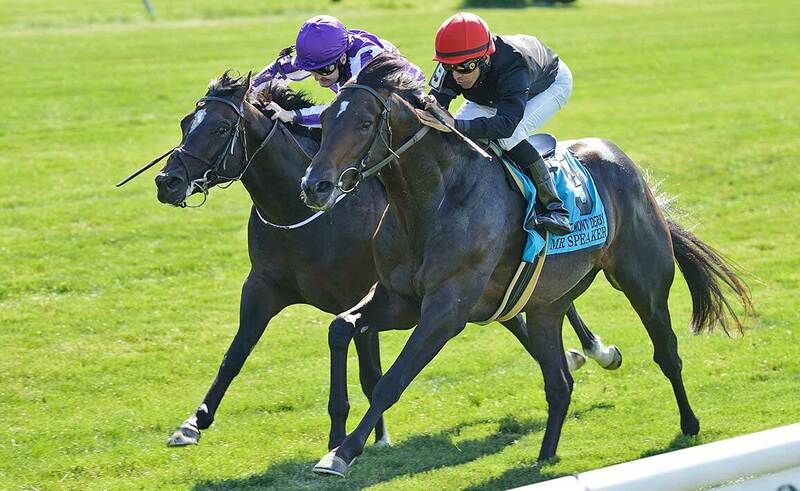 WON Belmont Derby Invitational S. [G1] at Belmont Park (1 1/4 mi., on turf, in 2:01.18, defeating Adelaide (IRE), Flamboyant (FR), Gailo Chop (FR), etc. ), Coolmore Lexington S. [G3] at Keeneland (1 1/16 mi., in 1:44.18, defeating Divine Oath, Supermonic, Ami’s Holiday, etc. 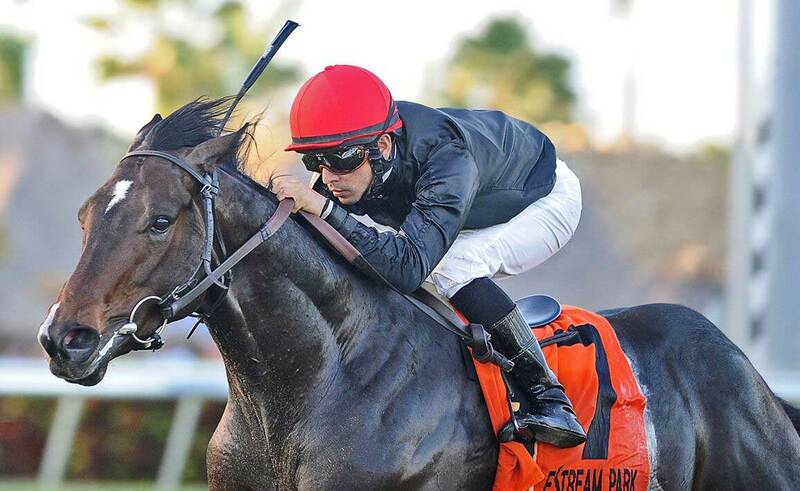 ), 2nd Palm Beach S. [G2] at Gulfstream Park (1 1/8 mi., on turf, to Gala Award, defeating Storming Inti, Pleuven (FR), etc.). WON Commonwealth Cup S. [G2] at Laurel Park (1 1/8 mi., on turf, in 1:47.77, defeating Legendary (GB), El Jefe Grande, Up With the Birds, etc. ), an allowance race at Belmont Park (1 1/16 mi., on turf, in 1:42.74, defeating Chamois, Blacktype (FR), Unbridled Ocean, etc. 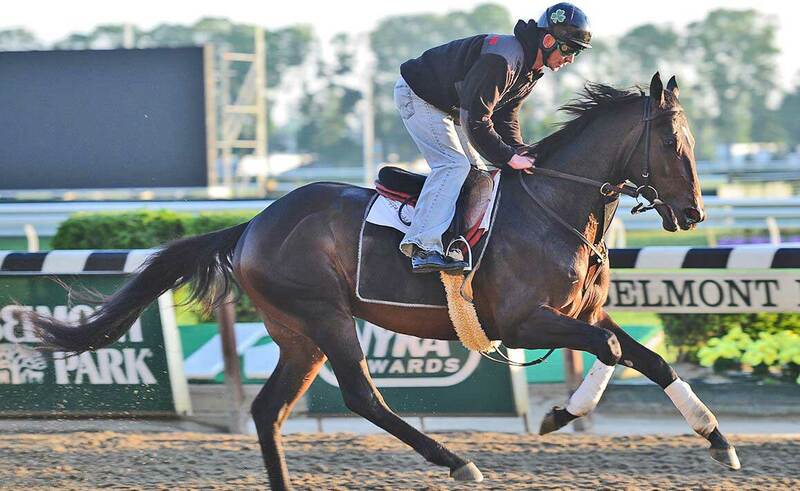 ), 3rd Knickerbocker S. [G3] at Belmont Park (1 1/8 mi., on turf, to Messi (GER), Cage Fighter, defeating Legendary (GB), etc. ).